$200 Amazon Gift Card Multi-blog Giveaway!! I’ve been really excited for this day to come! 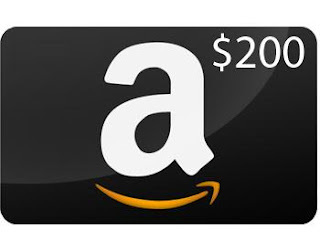 I’ve been working with some AWESOME blogs to put together a HUGE $200 Amazon Gift Card Giveaway! Woot!! I don’t think this could have come at a better time with Christmas right around the corner, and all! Who couldn’t use an extra $200, am I right?!? The giveaway form is through Rafflecopter to make things easy! I’ve inlcluded everyone’s Facebook pages for you to “Like” right from here! Good luck everyone! !